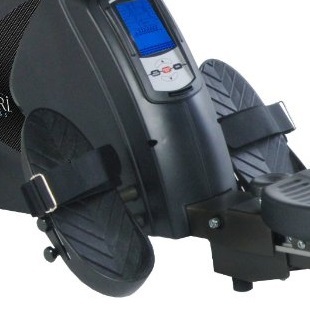 The Stamina Avari magnetic rower is close to the top end of the Stamina range. The brand is well known for their commendable budget models, so what about this one? 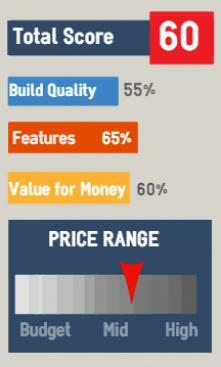 It's over the twice the price of the rest of the range, so is it worth a look? Our first impression was... meh. It just doesn't look that good, in fact, we'd say it looks dull. Okay, so you don't buy fitness equipment just to look at it, but looks can be important. Take the First Degree Evolution range or Waterrowers for example - you can't walk passed them without wanting to get on and take them for a spin. But the Avari just looks... well, functional and certainly not 700 dollars worth of kit. Anyway, enough of what it does to the eye and onto the experience. On the plus side, it's incredibly easy to assemble (unlike many other rowers we've tried) as it comes in three parts that take less than fifteen minutes for even the novice to put together. So in theory, you could be rowing quite soon after it's been delivered. We said earlier that it looks functional, and it most certainly is. It's easy to use and has a pretty good action. However, if you're six foot tall or over stop reading now. Two of our reviewers felt the track just wasn't long enough to get a good workout. If you're under this height, this is a positive as it's a compact rower with a small footprint that will take up little room in your home. 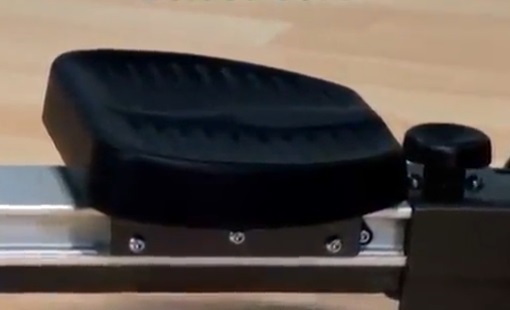 It also folds easily and has wheels for moving it out of the way when not in use. 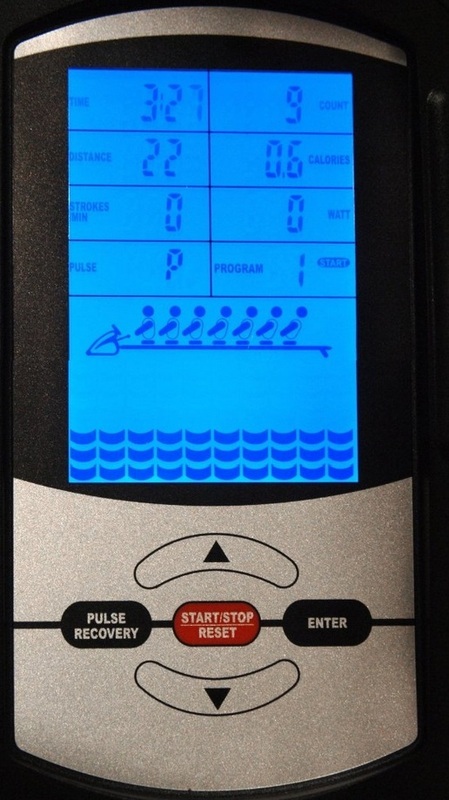 If you're new to rowing machines, you may be wondering what the 'magnetic' in the model name means. No, you can't stick it to the refrigerator, it refers to the resistance mechanism. You can read more about the different types here, but briefly, this model uses magnets for you to pull against when rowing. The level of resistance can be altered by changing the position of the magnets - this is done easily enough by pressing a button. Magnetic rowers are much quieter than other types of rowers, making them a g0od choice if you live in an apartment. The handle is well cushioned but some of our rowers with smaller hands thought it could be thinner to help get a better grip. The fabric belt lets the machine down in our view (a chain would have been better) but it looks strong enough and up to the job of years of service. While we think other rowers in the same price range are perhaps a better buy (see below), where the Avari scores is with its display and console. As far as we know, the 12 pre-set programs are unique to a model costing under £1,000 - please let us know if you know different. The display could be a little brighter, but the inclusion of a heart rate program (chest strap included with most retailers but we suggest you check first) is a great addition. By training with the chest strap, the console will alter the resistance level by monitoring you pulse and keep you in the optimum 'fat-burning' zone. The control panel is very easy to use and is self-explanatory (see diagram on the right). It displays all the usual workout data such as distance, time, stroke rate, pulse, calories etc - see what these all mean here. I guess this is the Volvo of rowing machines - it's not going to see the world alight, but it does what it promises and if you stick to a program it will help you get fit and lose weight. There are better quality rowers available for a similar price, but then this does have quite a few interesting features. These include the pre-set programs and heart rate programs which can go along way to helping you get fit. 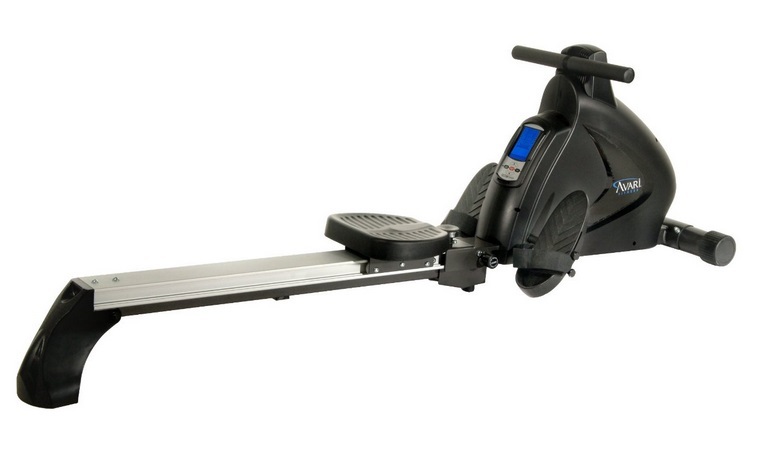 81" x 20" x 24.5"
36" x 20" x 54"
The LifeCore R88 is a great magnetic rower for about the same price, or if you want some different, such as a water rower, the ProRower or First Degree Neptune may tempt you, again for a similar price. Do you have an Avari? What do you think of it?